Retirement Planning is an important exercise. However, many people do not take it seriously. This may be due to lack of knowledge, a lake of time or ignorance towards retirement planning. When I was in college my professor use to tell us one simple thing – Dying early is a big risk, so that living a long life is. (जल्दी मरना जितना बड़ा रिस्क है उतना ही बड़ा रिस्क है लम्बा जीना!) when everyone wants to live a long life why professor said so. Let’s try to understand this with detail. At the time of independence average life expectancy of Indian was 32 years. This means in the year 1947 expected lifetime of Indian was very less. However, today situation has changed. Life expectancy of Indian is increased. On an average life expectancy is 80 years as of today. This means that after you stop earning at the age of 60 years (retirement) still you will be alive for 20 years (approximately). This 20 years of retired life will be the golden period of your life if you have done proper retirement planning. 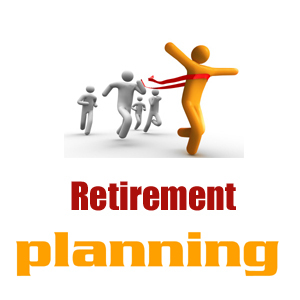 Also Read – How to do Successful Retirement Planning? As you have stopped earning money after 60 years, you will be relying on the wealth accumulated by you. If you have not done proper retirement planning it will be risky for you to live long. I hope now you are able to relate to the statement made by the professor. So, the question arises that how much retirement corpus is enough for living comfortable retirement life. It is a complex task to know your retirement corpus. As it depends on many things such as. Source of income after retirement like interest on investment, rental income etc. This means adequate retirement corpus amount will be different for every individual. However, if we do some calculation we can easily get details about fund required at the age of retirement. Luckily we have one retirement calculator on Reliance Mutual Fund site. This calculator will help us in calculating retirement corpus. So, let’s try to find out retirement corpus in three easy steps. First, you need to make an estimate of your monthly expense. You need to include following things in your list. Once you get detail about your monthly expenses you need to find out what will be monthly expenses at the time of retirement. Let’s say your monthly expense is Rs.30000. This means if you retire today you will need Rs.30000 every month for living a comfortable life. Our estimate of monthly expense Rs.30000 is for today. However, let us say you will be retiring after 30 years. So, the question arises that what will be an expense at the time of retirement. In order to know this, you need to apply inflation rate on current amount. Due to inflation amount required after 30 years will be comparatively higher. Let’s say today we spend Rs.300 for watching a movie after 30 years this amount could be Rs.1500. Historically, an average rate of inflation is 6%. If we assume that inflation rate will remain 6% for next 30 years than your future monthly expense after 30 years will be 1.8 Lakh. This means after 30 years you will need 1.8 Lakh x 12 = 21.6 Lakh yearly. Now you need to think that if you need yearly 21.6 Lakh after 30 years what would be a magic figure of retirement corpus that will generate yearly interest of 21.6 Lakh. If we consider that investment done in the various financial instrument will fetch 8% return we can easily calculate retirement corpus. Have you calculated this amount earlier? If yes you must have acted on the requirement of the corpus. If not, a time has come to act upon creating retirement corpus. The only thing you need to do in order to create retirement corpus is “Investment”. You need to find out a best possible financial instrument that will help you in generating this corpus. You can invest in mutual funds, fixed deposit, equity market to generate this corpus. I hope the information given above will help you in doing your retirement planning. HDFC Retirement Saving Fund – Good for Investment? How to do Successful Retirement Planning?